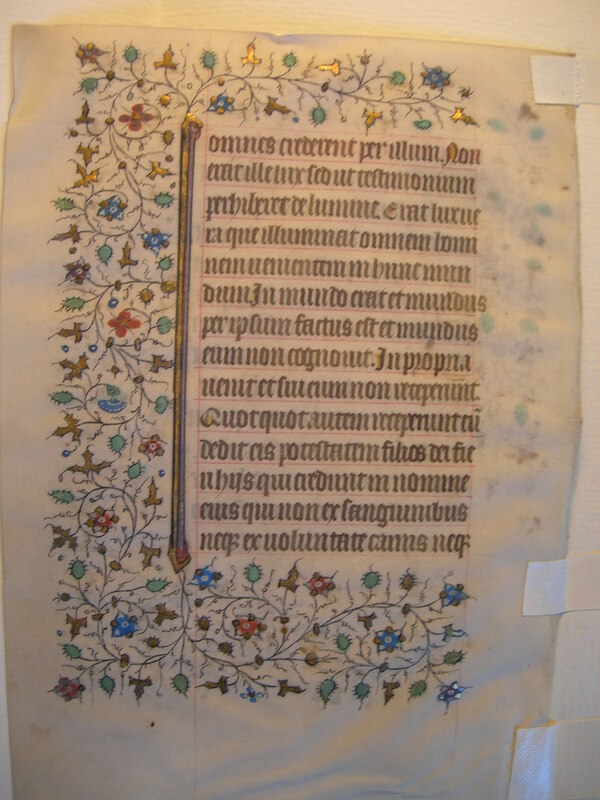 Text: This leaf contains text from very early in the Book of Hours, from the Gospel readings that would have followed the calendar at the front of the Book. It contains the opening of John. Incipiunt sancti evangelii sedum Johannem. 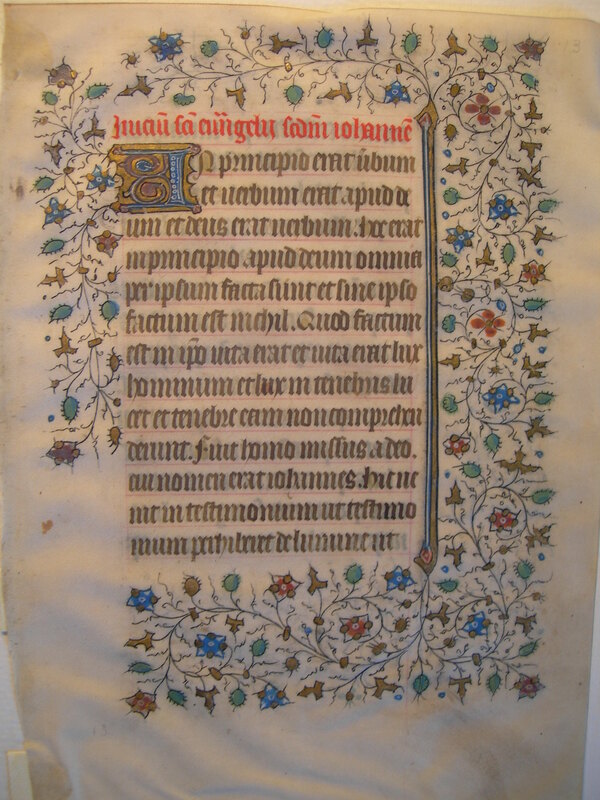 Here begin the holy gospels according to John.